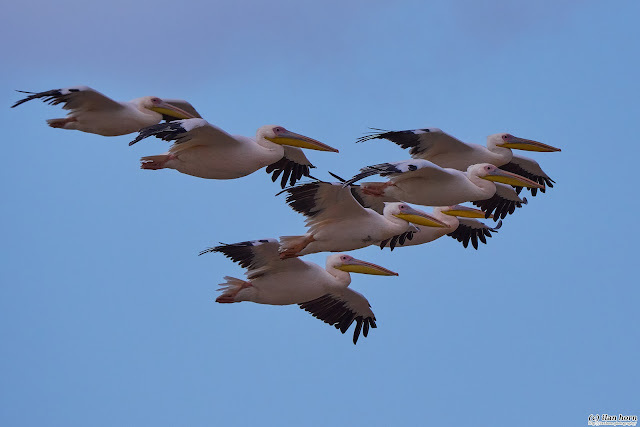 This is the season of the Gulls in Israel, and they are one of the most interesting species of birds to photograph. 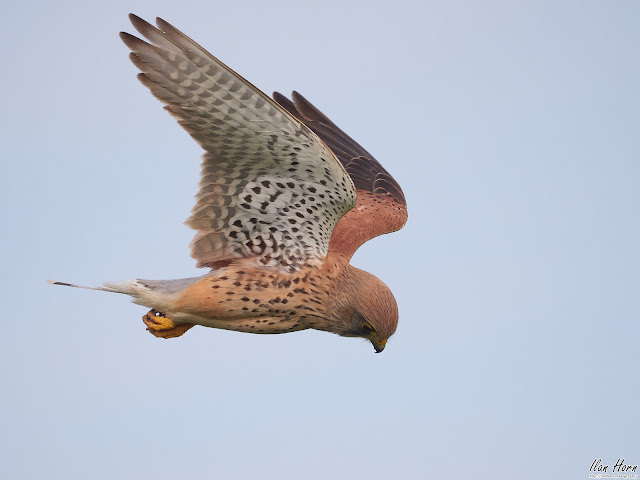 With their incredible flying abilities, and constantly being on the look for food, they provide awesome scenes. 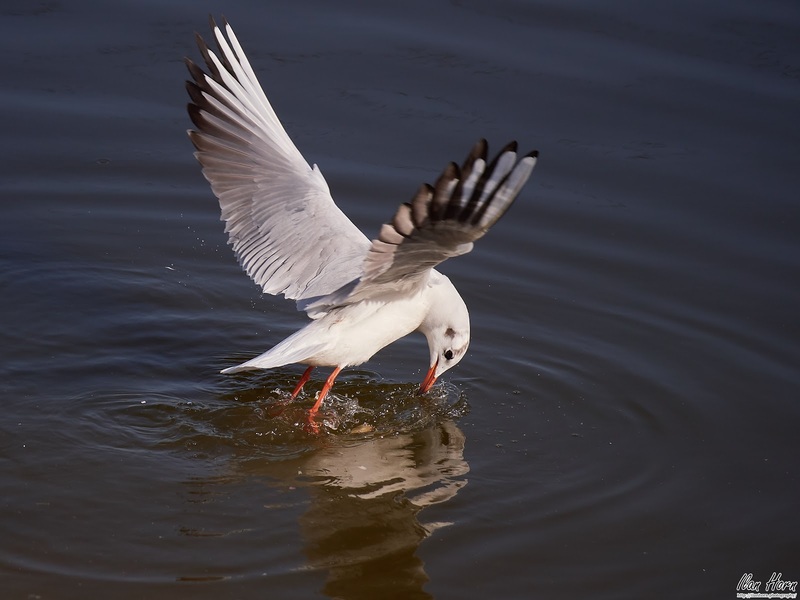 This photo shows a gull just touching the water with its legs and beak, and the beautiful reflection on the water surface. It's almost like there's a mirror down there! What do I like about this photo? The reflection, obviously. And the interesting pose the Gull is in, with the wings fully extended. I also like the color contrast, with the Gull being bright and the water very dark, so the Gull really stands out. The water splashes, droplets in the air, combined with the delicate ripples, also add interest to the photo. I used a fast shutter speed (1/2500 of a second) to freeze the action, so almost everything is sharp. What would I want to improve? I would have wanted to be more in front of the Gull, to get a more dramatic point of view. Also, I would have liked to get a full reflection, instead of the wing being clipped there. I should have used a more closed aperture (I used f/4.0) for a deeper depth of field, to ensure that both the wings are sharp to their tips.